A man from Icklesham was involved in a car crash while riding his motorcycle in the town on Friday (August 28). 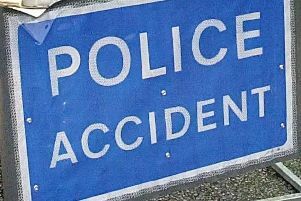 The motorbike and an Audi A4 crashed on the A259 Main Road at Icklesham near the junction with Watermill Lane at around 5.30pm. The 42-year old was taken by air ambulance to the Royal Sussex County Hospital in Brighton to be treated for serious injuries. His condition was not assessed as life threatening. Anyone who saw what happened is asked to contact Sussex Police via collision.appeal@sussex.pnn.police.uk or call 101, in either case quoting serial 1160 of 28/08.